Ladies and gentleman, put down the Room & Board catalog, cast aside your biases, and allow yourself to reconsider the humble Papasan. Thanks to its affordable price, this egg-shaped chair has long been a popular couch alternative for college students and post-grads decorating their first "adult" pads. It has also been unfairly maligned as a relic of a less sophisticated time, when artwork was thumbtacked instead of framed, Yankee Candles set the mood, and top sheets were considered optional. Is it even possible to account for the number of Papasan chairs that have been abandoned curbside just because Crate and Barrel was having a sale on beige sectionals? The Papasan did nothing to deserve such disdain. Centuries old and originating in Japan and the Philippines, American soldiers introduced the Papasan — and its double-seated counterpart, the Mamasan — to the United States after World War II. Who could blame them? The only place more comfortable to curl up is a mother's womb, which even ABC Carpet & Home doesn't carry. 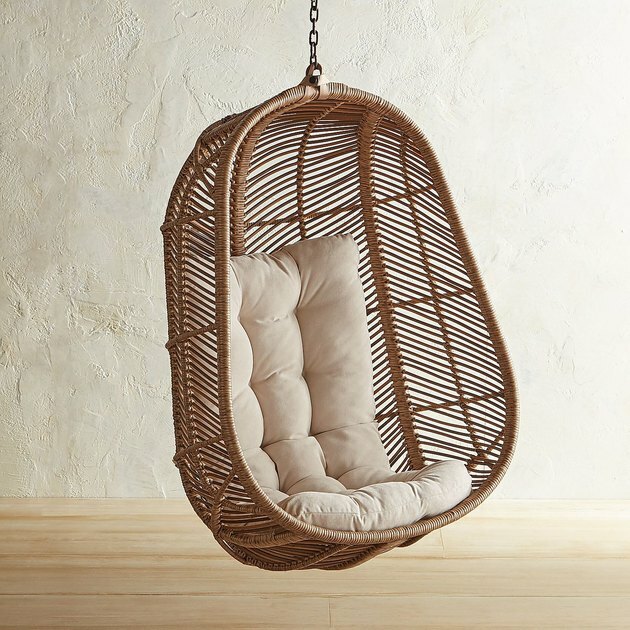 Spacious enough for a nap, but compact enough to fit in the corner of any room, the Papasan has a subtle boho vibe that contrasts yet compliments more modern decor. 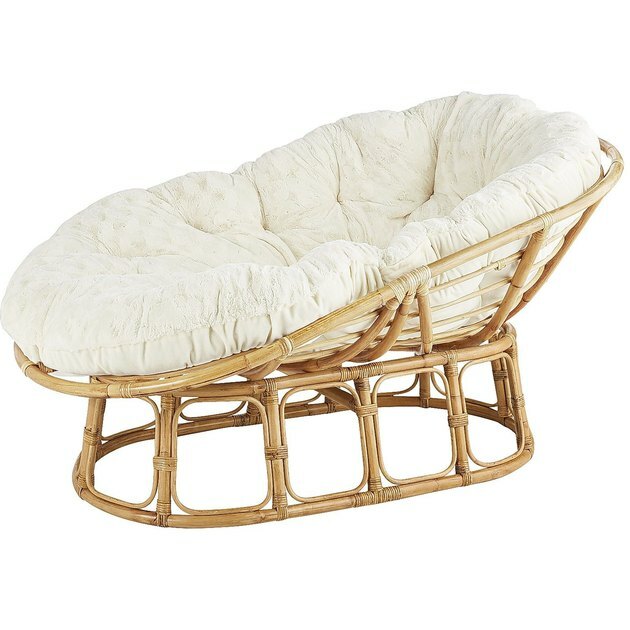 Updated materials: Papasans are typically made from rattan, bamboo, or wicker (so "in"), but you now have other options. 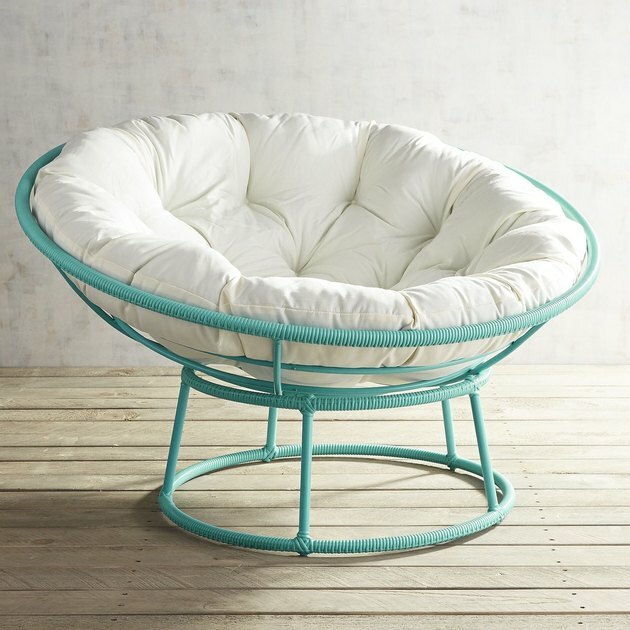 Pier 1, arguably the Papasan purveyor, also offers an "all weather" version in a variety of colors. 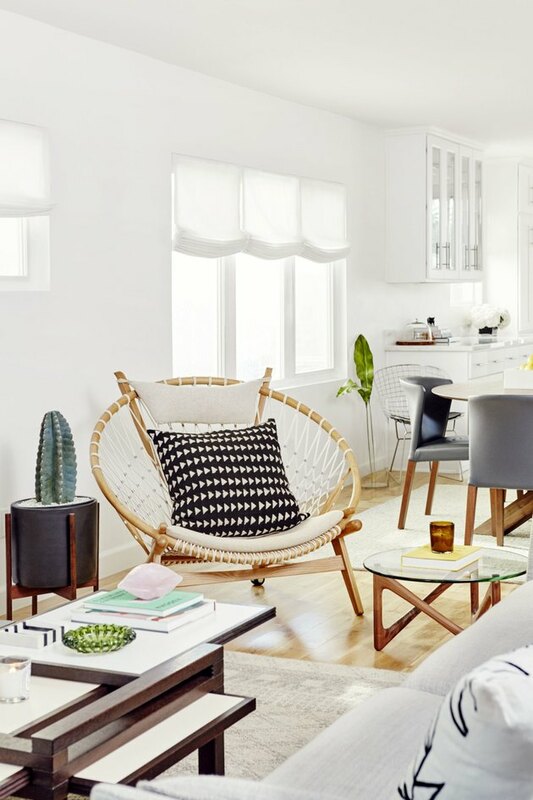 Take it wherever you want: Because the bowl and stand aren't attached, they are easily moved around, so you can enjoy the Papasan indoors and out. 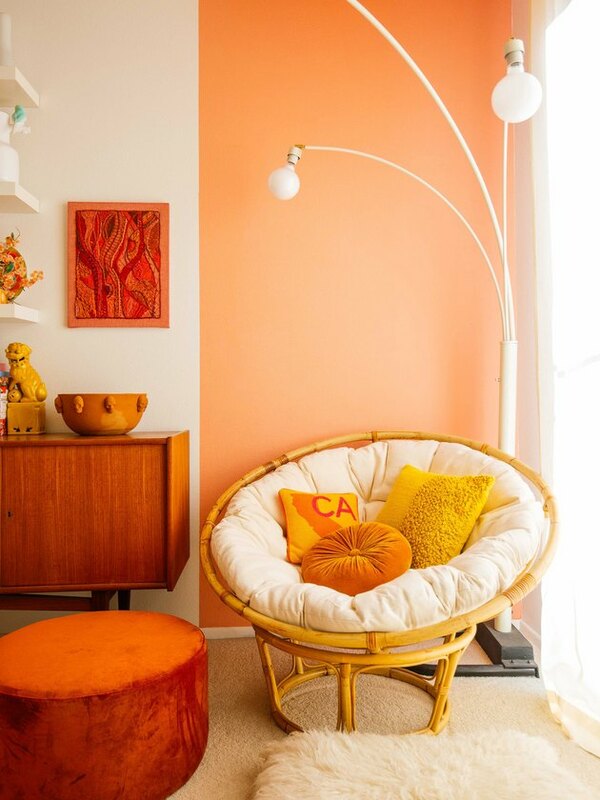 Adapt it to your decor: It's the cushion that conveys the Papasan's style aesthetic. 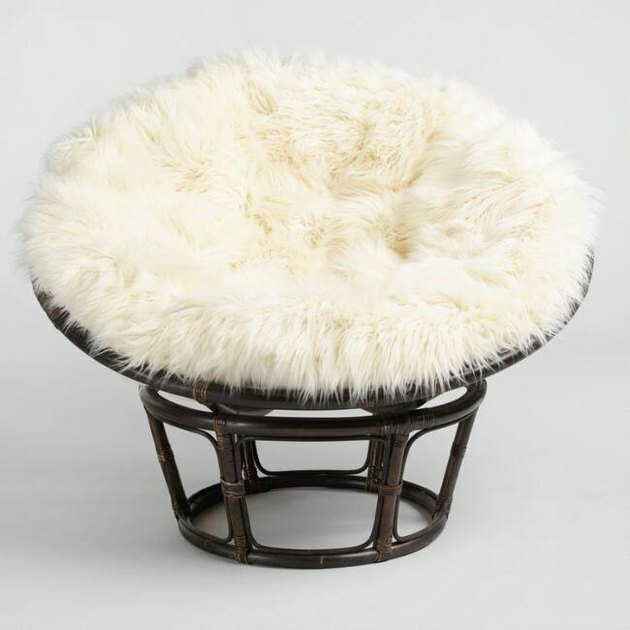 While the list of available textile options is long, ranging from cotton and corduroy to velvet and cowhide, the Papasan's round cushion is easily customized in just about any material imaginable. Look to World Market for a variety of cushions that are sold separately from the chairs. Can you imagine anything more lazily luxurious than reading and sipping a lovely vintage barolo from the depths of a plush Mongolian faux fur nest? Pick a version that suits you best: The Papasan is just the beginning. In addition to the doubled-seated Mamasan, Pier 1 now offers two additional takes — behold, the Swingasan and the Loungeasan!